Amber Tree Care will deliver logs anywhere in South East London. 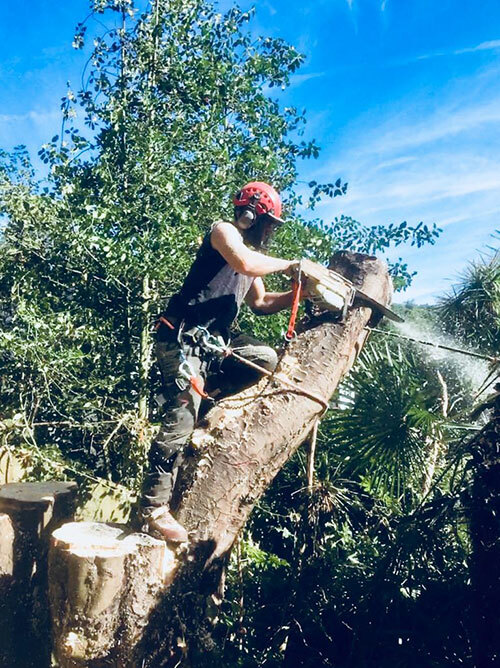 All our logs have been sourced from our tree surgery operations, have been seasoned for over a year and split to fit inside wood burning stoves. We only sell hardwoods (oak, beech, ash, fruit trees, etc) and as they have seasoned properly will burn well and comply with clean air regulations. We sell firewood in barrow bags as larger bags are too heavy to move. Each bag is 50cm x 50cm x 50cm and five barrow bags are approximately the amount you would fit in a 1 tonne builders bag. Minimum order is five bags but feel free to order any amount if more. If you would like to place an order just Get in Touch. Get in touch for a free site assessment Get a Quote! Registered in England and Wales No. 06386642.